1 Chancel with chapel to S and two vestries to the N, nave with N and S aisles and porches, and W tower. There have been at least three churches on the same site. The earliest surviving remains are of the 14th century, as indicated by blocks of red sandstone dug up when the foundations of the present church were being prepared, and afterwards incorporated in them. 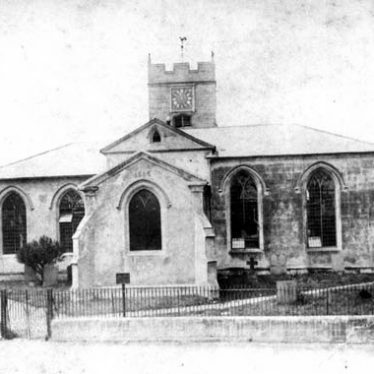 Another church was built early in the C19 to replace all but the tower of the one preceding it; the new nave ran N-S, to the E of the old tower, and a small chancel was planned on the E side opposite the tower. All of the present fabric, with the exception of the tower, was built between 1888 and 1890 of red Runcorn sandstone in the 14th century style. The tower is genuine 14th century, though much restored. The first mention of a priest at Bedworth is in 1297. 2 The drawing of c1820 in the Aylesford collection shows the church prior to its early 19th century rebuilding. 3 By Bodley and Garner, 1888-90, except for the grey Perp W tower. 5 Noted by Ordnance Survey. 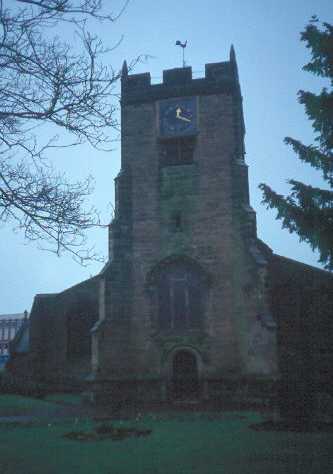 6 An archaeological observation at All Saints Church, Bedworth, recorded foundations adjacent to the south porch, extensions to the Medieval predecessor of the existing late 19th century building and a large number of fragments of human bone disturbed by later service trenches. The church is in All Saints Square, not Mill Street. The site of a quarry which was in use during the Imperial period. It is marked on the Ordnance Survey map of 1886 and it was situated on the east side of Coventry Road in Springfield. The site of a brickworks where bricks were made during the Imperial period. The brickworks is marked on the Ordnance Survey map of 1912. It was situated at Black Bank, Bedworth. The possible extent of the medieval/post medieval settlement at Collycroft based on documentary evidence. A geophysical survey revealed evidence of a building and other structures, walls and/or pathways. These possibly date to the Post Medieval period. The site is situated 100m north of the church, Wilmcote. Excavations revealed the remains of a Roman fort and associated buildings. The fort is situated 300m north east of Bardon Manor Farm. 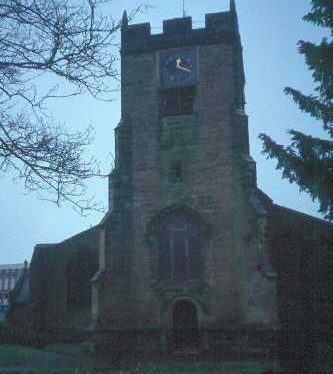 The Parish Church of St Leonard was built during the Medieval period. It was originally part of Wroxall Priory church but may always have been used by parishoners rather than by the nuns. The church is situated 600m south west of Wroxall. A nonconformist chapel is marked on the Ordnance Survey map of 1886 and on the Ordnance Survey map of 1924 as a 'Congregational Church'. It is situated in Binton. Documentary evidence suggests that a chapel existed at Nethercote during the Medieval period. The site of the chapel lies to the west of Nethercote. Documentary evidence suggests that there was a Medieval church in Temple Grafton. 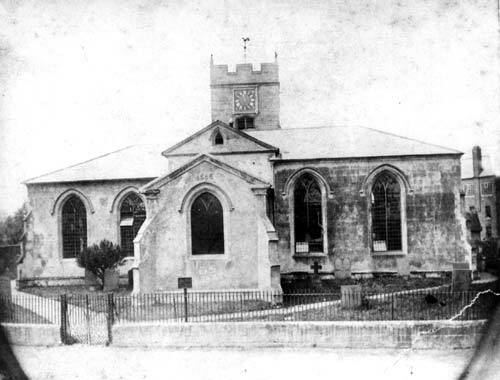 It was replaced by a later church in 1875. The Medieval church was situated at Church Bank.